Out of all the sports games, people are getting attracted more towards the new generation of Sports, i.e. Hoverboarding. Not just Kids and Teenagers, in fact, adults also like to ride on the hoverboards. If you’ve owned a Hoverboard, then you can choose from a variety of hoverboard Carrying bag to store and carry it comfortably. If you are looking for suitable Hoverboard backpacks, then here we have prepared a list of the best-selling Hoverboard Carry Bags from different brands. You can carry a hoverboard in your hands, however, if you do have a proper Hoverboard backpack, you can easily keep it inside and carry it along. It’s more comfortable and handy and you will feel more relaxed. 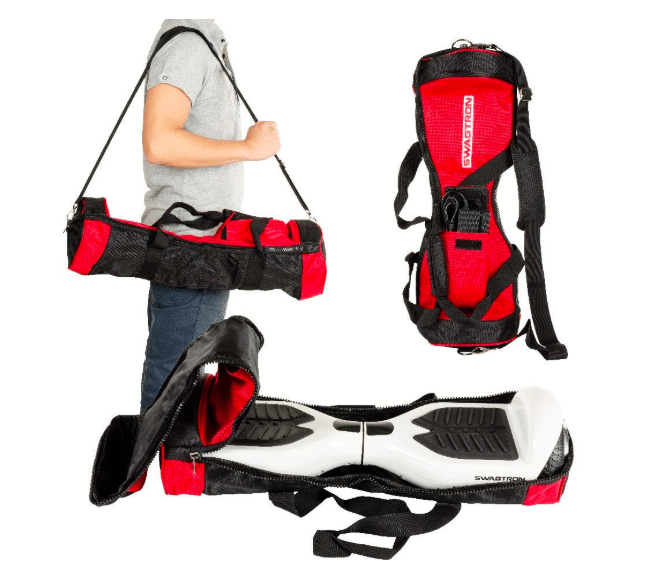 Why do you need a Hoverboard Carry Bag? You can’t ride on your Hoverboard in all the places and to choose a suitable place to ride on it, you have to carry it along. Or you may want to carry your Hoverboard while you travel. 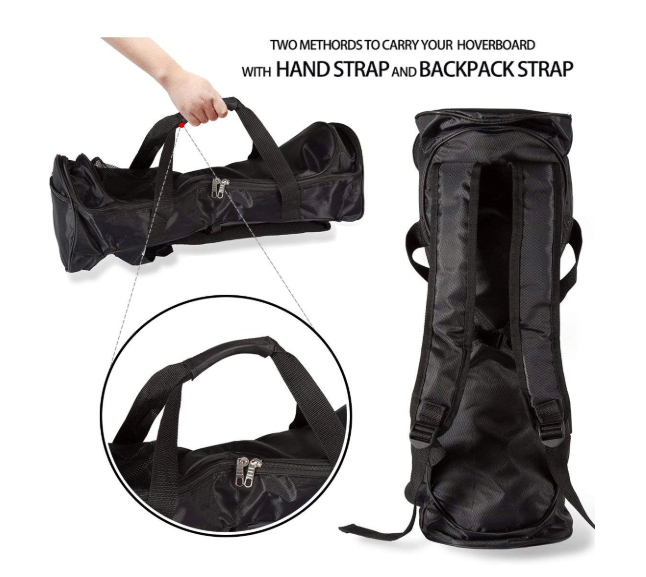 There are plenty of reasons you have to purchase a new Hoverboard Carry Bag in which you can easily store your Hoverboard and can carry it along anywhere you go. 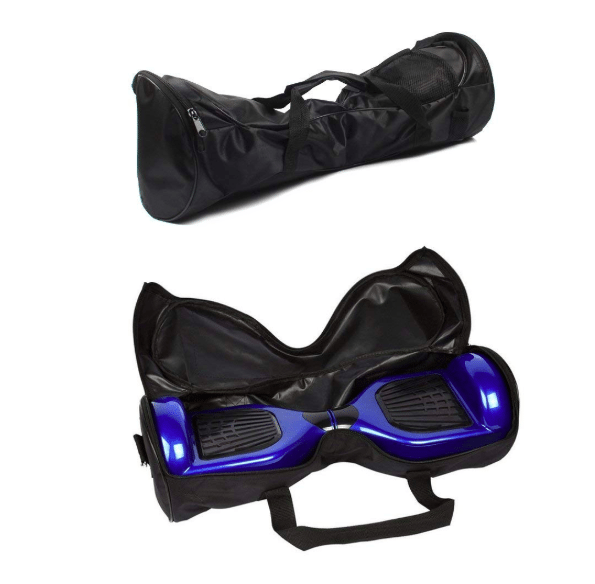 There are different kinds of brands available in the market who offer a huge range of Hoverboard Carry Bags to suit the demands of the users. 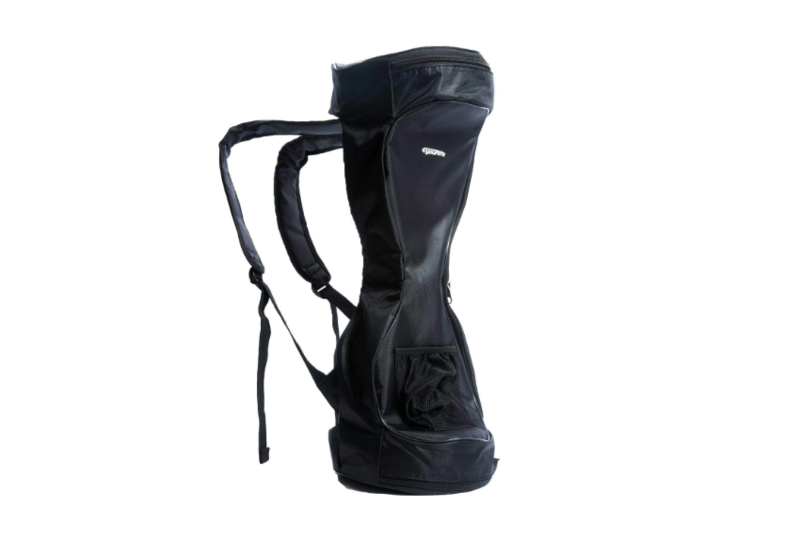 You can go either for a Cheap or Premium Carry Bag as per your requirements. For the very same reason, we have included all kinds of Hoverboard backpacks and Segway Board Bags for you. You can go through the list, read the reviews and can make up your final choice. Let’s get on to the list of Best Hoverboard Carrying Bag. FBS has been on the market for years and offering different types of bags for the consumers. 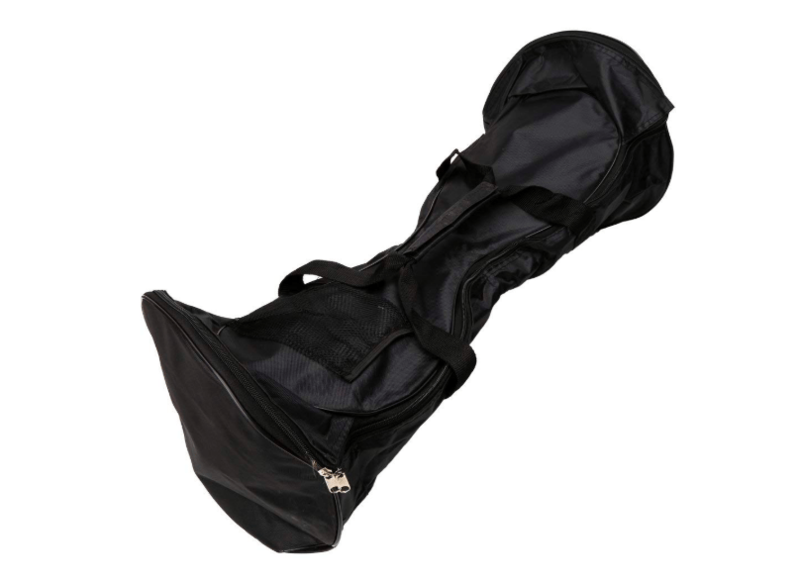 The list of best hoverboard carry bag starts with FBS. The new FBS Waterproof Hoverboard Bag is currently the best-selling Hoverboard Bag in the market designed with quality material. This carry bag is compatible with almost all types of Hoverboards which are available in the market. 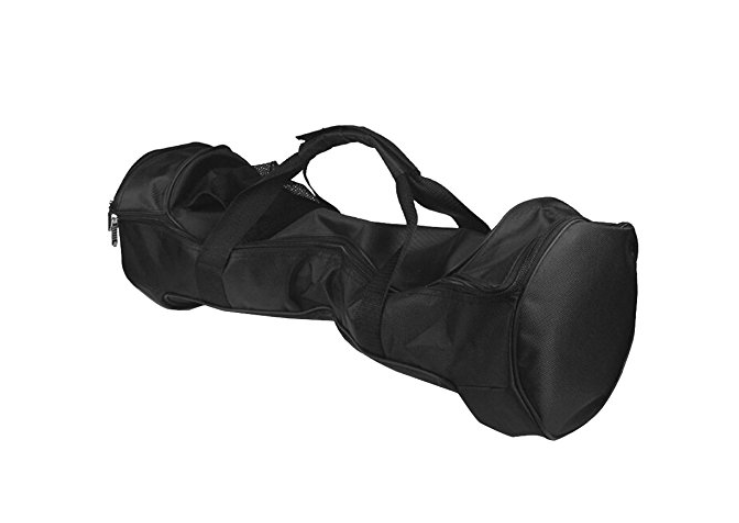 You can store any kind of Hoverboard in this bag and carry it comfortably with its adjustable straps. The bag is designed with Water-resistant 1680D nylon which protects your Hoverboard from rain and snow. To make the bag even more comfortable, it is equipped with adjustable straps. 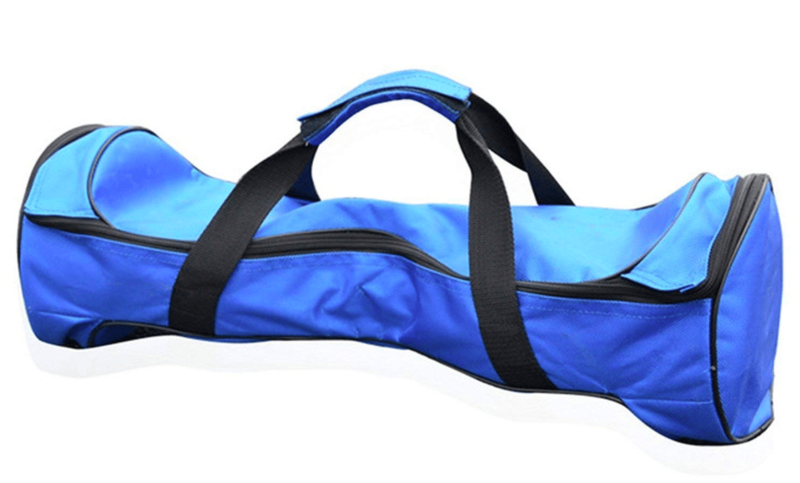 As per your comfort, you can adjust the straps of this Carry Bag. Additionally, the Bag also features Mesh pocket. You can store the charging adapter of the board, a water bottle or an energy drink. You can also carry sunglasses, hats, wrist guards etc. Moreover, the bag is available in different color options, you can pick the most suitable one from the list. If you are using a Hoverboard for a long time and looking for a reliable Carrying Bag to hold and carry it, then DUOJIA’s Portable Waterproof Carrying bag is the best option available for you in the market. This Carrying Bag is designed for the Hoverboard users who are searching for a budget-friendly bag. This Carrying Bag is fully Waterproof. It is designed with durable Oxford Material which is washable and convenient to carry. The waterproof design lets you carry the hoverboard inside in all the weather conditions. You can even hold and carry this Hoverboard inside this bag in the rainy season. The bag is large enough to hold all types of Hoverboard up to 8 Inches of wheel size. It comes with a double zipper which is more comfortable for you and easily accessible. The bag is available in two different colors, Black and Blue. 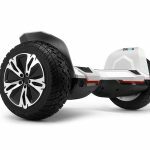 Eyourlife’s Hoverboard Backpack is suitable for all types of electric powered Hoverboards and Skateboards. This Backpack is made of high-quality durable and waterproof material. The bag keeps the Hoverboard protected from rain and snow. The bottom of the bag is designed with a quilted style which adds extra protection. The straps of this backpack are designed with breathable soft fabric. The straps are adjustable and it offers more comfort while you carry the bag on your shoulders. It is suitable for different types of people and their needs. Easy to carry design makes it more convenient for the travelers to carry their Hoverboards. You can carry this backpack by hands of on your shoulders. Eyourlife is a trusted brand in the market and the products of this brand pass through strict quality inspection before shipping to the customers. If your budget is a little high, then you should go with this backpack from Eyourlife. Homanda’s Portable Waterproof Carrying Bag is specially designed for the Hoverboards of all sizes. This Portable Hoverboard Backpack doesn’t cost much and is suitable for the economy shoppers. The bag supports self-driving scooters with 6.5 Inch wheel size. Almost all types of Hoverboards available in the market can be stored and carried inside this bag. The bag is designed with a high-quality Waterproof material, which makes it suitable to carry in the rain or snow. The material is durable which lasts for months. It is designed with a double zipper, which makes it easier for everyone to use and carry it whenever they go or travel. The design of this bag is travel-friendly, so you can just put the hoverboard inside the bag and travel to different places. The straps of this bag are adjustable ones, you can easily adjust the straps as per your requirements and the size of your shoulders. Moreover, the bag also features a mesh pocket to hold the charging adapter for the scooter. You can also carry a water bottle, energy drink, your mobile phone charger and other accessories in this pocket. It makes the design of this bag more trendy. Nequare’s Hoverboard Backpack is designed with the high-grade durable material. The carrying bag is fully water-resistant which makes it more convenient for everyone. The backpack is large in design and suitable for all types of Hoverboards which are available in the market. The backpack can’t be submerged in the water and you can carry your Hoverboard inside this bag in the rain and snow. The backpack is fully protective and your Hoverboard will stay protected in the rainy season as well. The straps of this Bag are adjustable. You can easily adjust the straps of this Bag as per the size of your shoulder. You can carry the Hoverboard comfortably in this bag while you are traveling. The straps are soft and designed with durable material. Additonally, the back offers a multifunctional mesh pocket. You can store the charging adapter of the Hoverboard, your sunglasses, a water bottle and pretty much all the other accessories which you use while Hoverboarding. If you are looking for a portable and budget-friendly backpack to store your Hoverboard, then Cosmos’s Portable and Waterproof Carrying Bag is here in the market. This backpack is suitable for all kinds of Hoverboards available in the market. You can easily store and carry your Hoverboard inside this carrying backpack. Being a budget-friendly backpack, this backpack is more convenient to all the users who travel to different locations for hoverboarding. The backpack is designed with Premium Quality Durable material which is 100% Waterproof. You can carry this bag even if it’s raining outside. You don’t need to worry about protective the Hoverboard, just put it inside the bag and walk on. It has double Zipper design which is easily accessible. The backpack also comes with a Mesh Pocket for storing different accessories including the Charging Adapter of the Hoverboard. Michael Josh’s Hoverboard Carrying Bag is one of the best and most affordable Hoverboard Backpack available in the market. The design of this backpack is easy to carry and comes with a convenient storage option. The bag is designed with durable material waterproof material. It is suitable to carry in the rainy season and when there’s snow around. 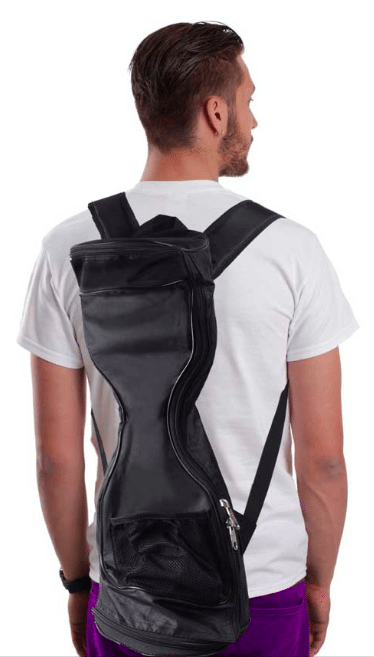 The backpack two Zippers that gives you maximum access to your hoverboard. The backpack comes with two adjustable Shoulder Straps. The shoulder straps are designed with durable material and they are soft for carrying the Hoverboard comfortably. You can carry the Hoverboard for hours inside this bag. 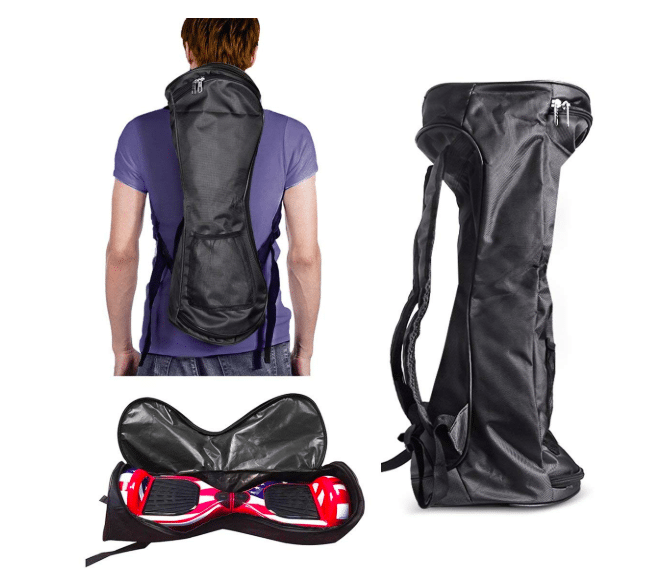 Just like every other Hoverboard backpacks, this Hoverboard Carrying bag has a Mesh Pocket. You can store a variety of accessories inside this backpack such as the charging adapter, Sunglasses, Wallet, a water bottle, cap etc. The company is offering free replacement warranty on the product. Swagtron is one of the leading companies in the backpacking industry. The company has a variety of backpacks for Hoverboards. The new Swagtron Hands-free Smart Board Backpack is currently one of the best-selling backpack for Hoverboards and Skateboard. The large size of the backpack can store almost all types of Hoverboards easily. There are extra storage pockets also available in the back where you can store different things easily. This bag is designed with protective Water-resistant material which keeps your Hoverboard secured from rain and snow. The sling Straps are adjustable as per your convenient. You can adjust the strap and wear the backpack comfortably. 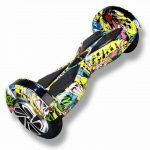 It is an ideal choice for the travelers who travel to different locations with their Hoverboard. The backpack also includes a Mesh Pocket. You can store the charging adapter for the Hoverboard inside this Mesh Pocket. You can also store your sunglasses, caps, wrist protector, a water bottle etc. inside this backpack. Swagtron’s this backpack is suitable for economy shoppers as it is available at an affordable price tag. BetterM has a variety of Backpacks for different types of Hoverboards. 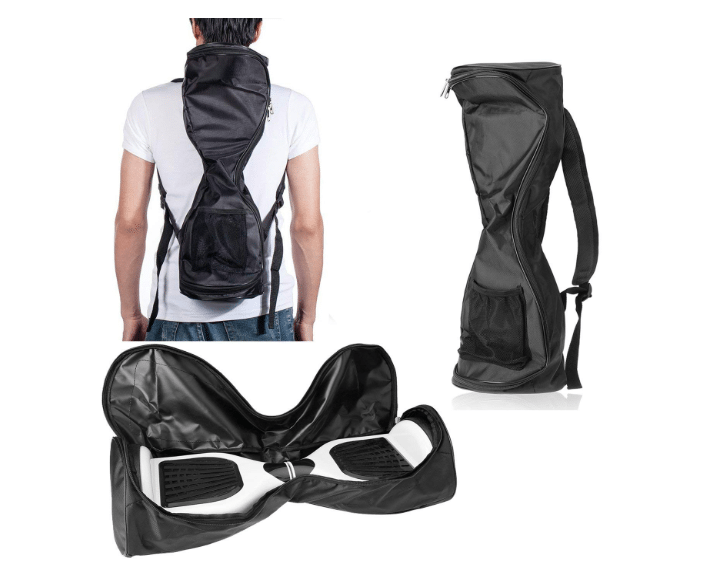 If you are looking for an affordable backpack, then BetterM’s Hoverboard Carrying bag is here just for you. This backpack can store all types of Hoverboards conveniently. The backpack is designed with high-quality Nylon fabric which makes it more durable. The backpack’s design is easy to carry which makes it perfect for the travelers. The premium quality material is fully water-resistant. Your hoverboard can be protected in rain and snow. You don’t need to worry about the protection of your hoverboard in a rainy season. The backpack has two zippers for maximum access of the storage. You can easily put and store the Hoverboard inside this backpack and can carry it comfortably. The Backpack also keeps your Hoverboard dust and dirt-free. Just put it inside the backpack and zip in. The Straps of the Backpack are adjustable as per your requirements. The backpack is available in a number of color options. You can choose the most suitable color from the available options. The pricing of this Backpacks is different for different sizes. However, it is more affordable than any other Hoverboard backpacks available in the market. GameXcel’s Hoverboard Backpack has the most advanced design compared to other backpacks from various brands. This is specially designed for the Hoverboard owners. The large storage option of this backpack stores almost all types of Hoverboard easily. Hoverboards with 8 Inch or less Wheel size can be stored inside this backpack. The backpack from GameXcel is designed with the thickest material on the market which is extra durable. The backpack lasts for months without tearing apart the material. The backpack holds your Hoverboard protectively. The bag comes with two zippers for maximum access of the bag. The straps of this backpack are extra-durable and designed with soft fabric. You can carry your hoverboard for hours without stress on your shoulders. The straps are adjustable, you can adjust the size of the straps as per your convenient. It is 100% comfortable for the frequent travelers. Moreover, the Hoverboard comes with an extra Mesh Pocket for storing different kinds of accessories. You can easily keep the charging adapter of the Hoverboard inside this backpack. Additionally, you can also store a water bottle, sunglasses, hanky etc. So, folks, these are all market’s best-selling Hoverboard backpacks. We have searched and explored enough of the web and compiled this list. We have gone through the reviews and feedback from the original buyers of this product and reviewed them personally. 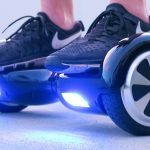 Starting from cheap to premium, we have included all types of Hoverboard backpacks for you in the list. You can find the suitable and affordable backpack for Hoverboard from the above list. Know your basic requirements first, and choose the most suitable backpack right now.